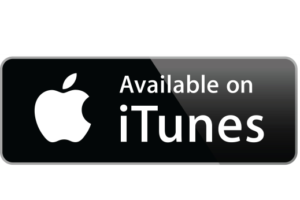 Episode 13 – Apple Money Grab… or security concerns? Today we kick off the episode arguing semantics. Stan has yet another milkshake story. He attends a place with "Shake" in the name and is underwhelmed. Regular listener Tom, sent us an article via twitter for our (read: Stan's) opinion. Hear us opine on the lockdown of Apple repairs. I'm not even really sure where to start for this episode. We cover a plethora of topics from tech to food, to reading non-fiction. You're sure to find something that interests you in this episode (even if it only is the soothing sound of The Lemon's voice) Maybe it will be easier if I just list some of the topics out. In this episode, Stan Lemon reviews Meat Rubs by Fenker (or.. Meat, Rubbed, and Salutary - branding pending.) Stan gives a good review but the only way to get them are to be friends with Rev. Aaron Fenker. Stan got new Apple Gear, much of the world got new apple software, listen in for our discussion on that. Bonus Round - We forgot to talk about this in Episode 9. Jon gives Stan a hard time for his blog post image not being mobile friendly and helps him to correct his CSS. 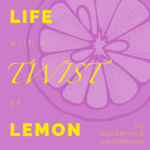 In Episode 6 of Life with a Twist of Lemon, Stan tells us about his trip to Atlanta for work. He has Jon salivating over some of the food he found and looking up plane tickets to head to Atlanta. All of that somehow leads into Jon's new Amazon Echo, the greatest trivia device ever... but at what cost?